Carrabec girls, Hall-Dale boys eye runs, but Waynflete, St. Dominic loom large. 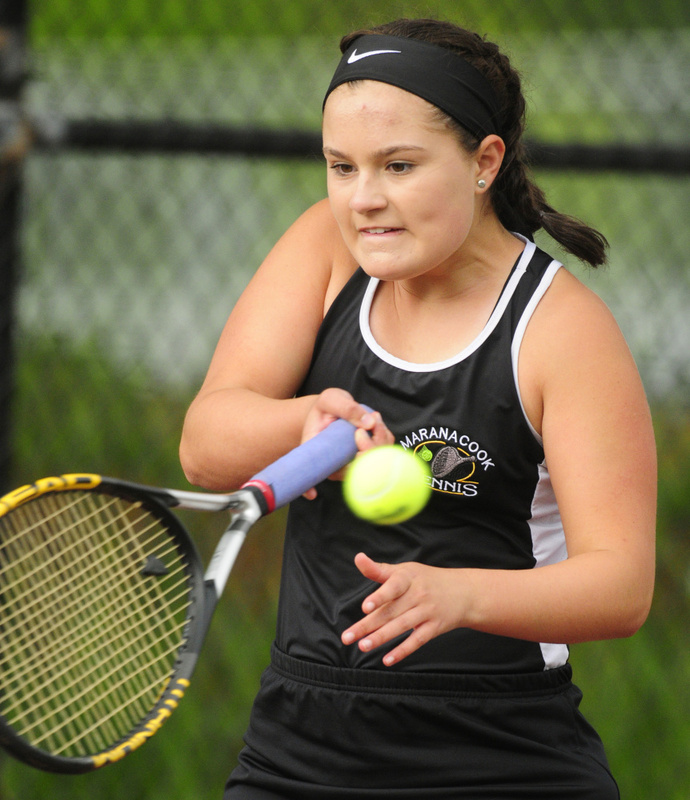 Staff photo by Joe Phelan Maranacook junior Karissa Lucas prepares to hit a shot during a Class B South quarterfinal match against Yarmouth on Wednesday in Readfield. 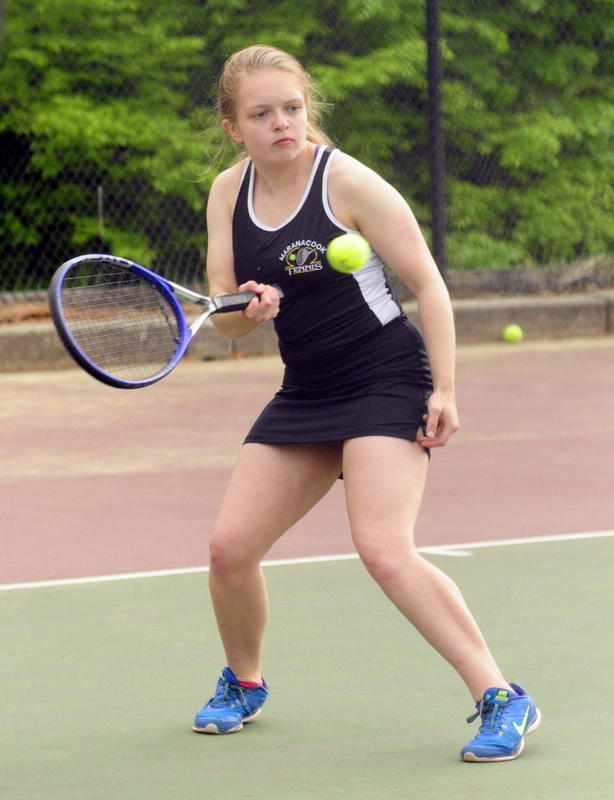 The Carrabec girls tennis team began the postseason as the No. 1 seed in the Class C South region. And coach Nora Ellis knows a few around the sport may have been surprised to see the Cobras sitting there. Carrabec, which began its postseason with a 5-0 win over Dirigo on Wednesday, is a team to watch, but it’s hardly alone in a C South girls bracket loaded with high local seeds and traditional powers. The Cobras (9-1) top the seedings, but are followed right after by No. 2 Winthrop (9-1) and No. 3 Hall-Dale (8-2), with 7-3 Madison — the lone team to beat Carrabec in the regular season — lurking in fifth. 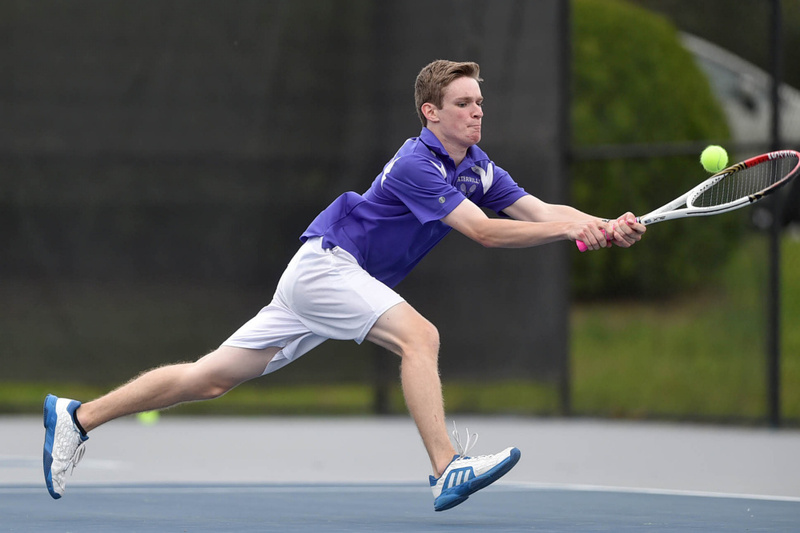 And those teams will all face tall tasks in getting by fourth-seeded Waynflete and sixth-seeded St. Dominic, which were the South finalists a season ago. Several teams have already started. 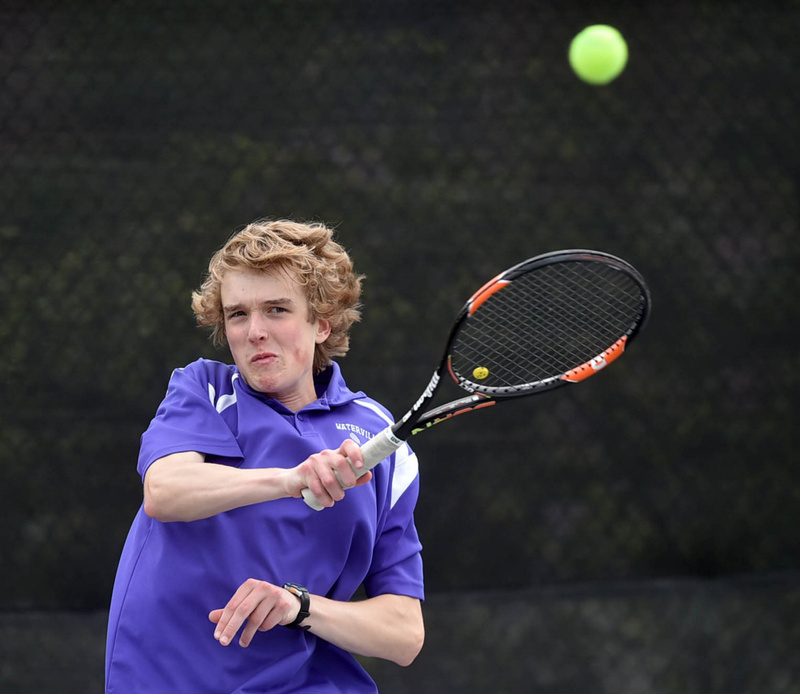 In the A North boys tennis quarterfinals, No. 4 Mt. Blue shook off No. 5 Mt. Ararat, 4-1, while No. 4 Waterville beat No. 5 Mt. Desert Island, 4-1, in the B North boys quarters. In the C South boys quarters, No. 4 Hall-Dale rebounded from a regular season loss to No. 5 Dirigo to beat the Cougars, while No. 3 Maranacook fell to No. 6 Yarmouth, 5-0, in the B South girls quarters. For most teams, however, the playoff run picks up Thursday, and that includes that C South girls bracket. 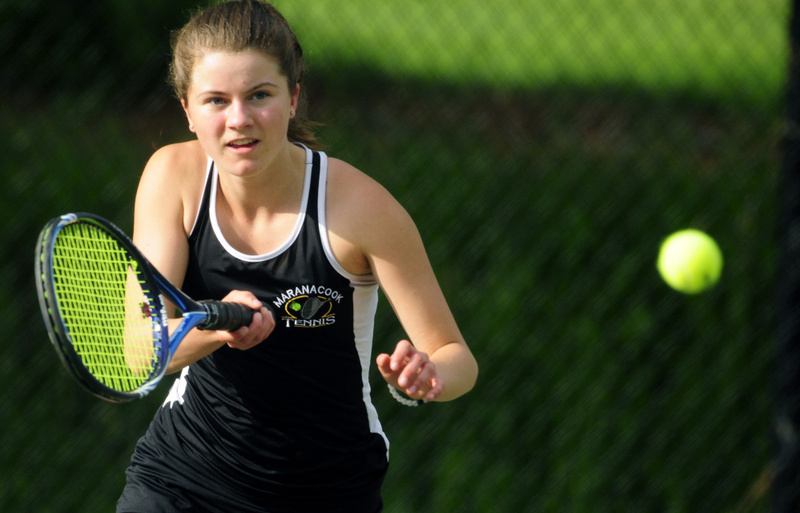 Carrabec faces the winner of the Madison-Waynflete matchup, and Ellis says her team, led by top singles player and 11th seed in the state singles tournament, Katrina Mason, is ready for the challenge. 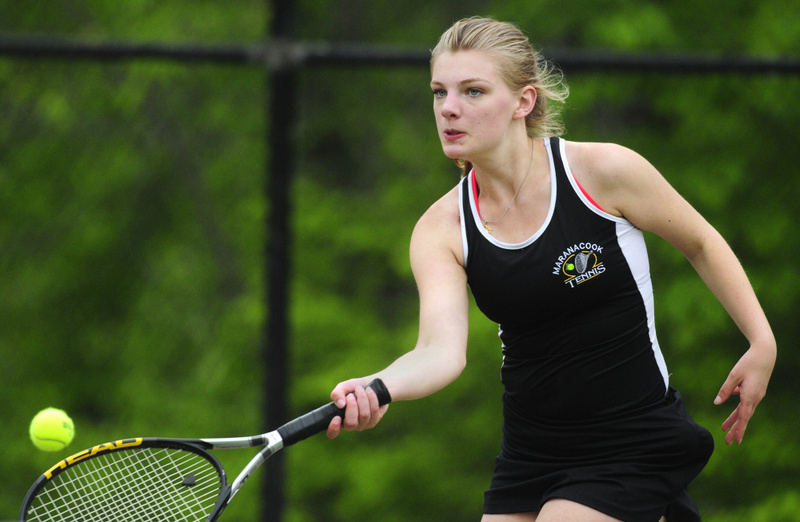 Ellis said the Cobras’ climb atop the C South standings was due largely to how the team behind Mason adapted to the loss of second singles player Kelsey Creamer. 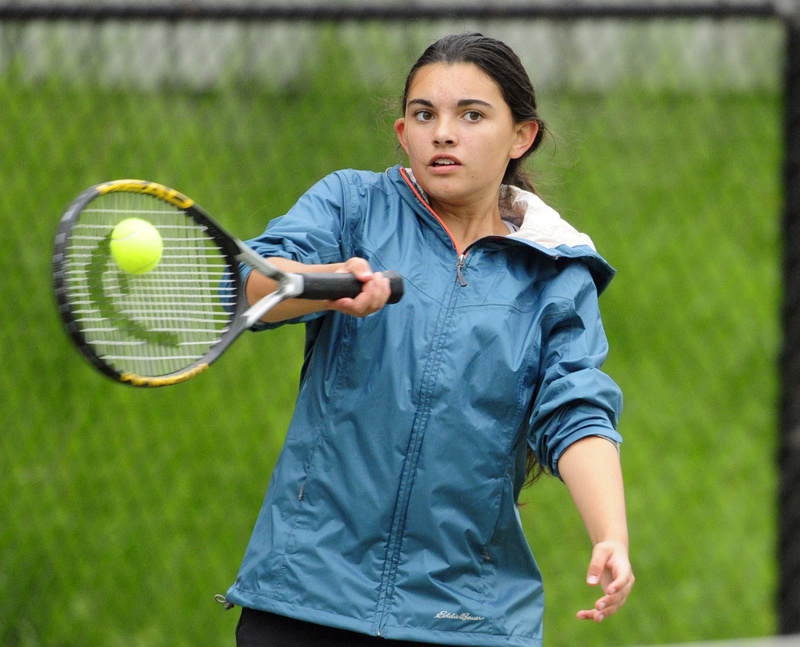 Makayla Vicneire played up from third singles and flourished, and remained in the second spot even with Creamer back in time for the playoffs. On the other side of the C South girls bracket, Hall-Dale faces No. 6 St. Dominic on Thursday and Winthrop hosts No. 2 Boothbay. In the boys tournament, Hall-Dale will face No. 1 Boothbay on Saturday after its win over Dirigo and the Seahawks’ victory over No. 8 Winthrop. Boothbay swept Hall-Dale in its two meetings this year, but the Bulldogs fell by narrow 3-2 scores. Bence said the team is eager for another shot at the top seed. 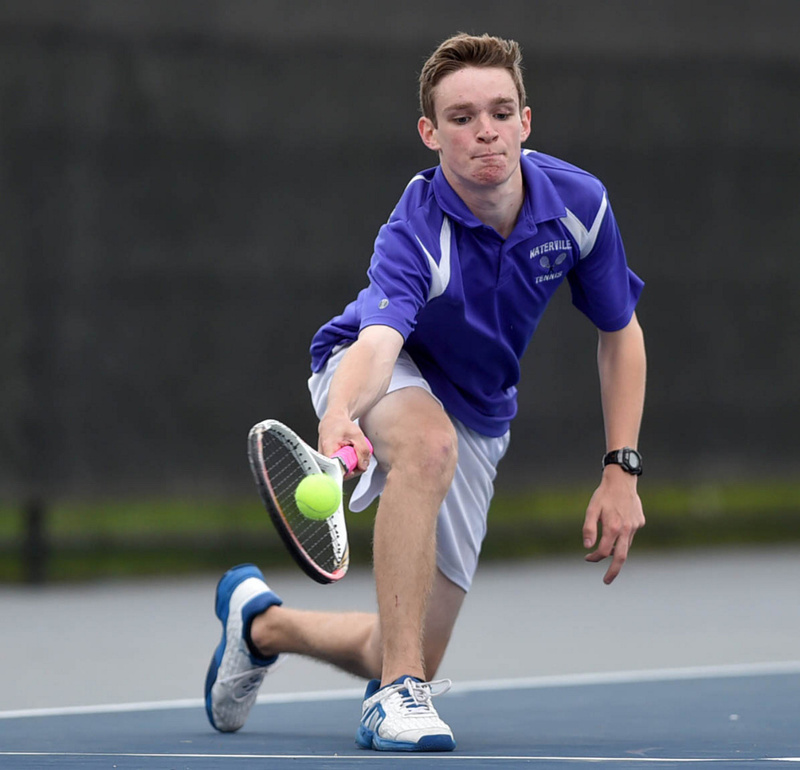 The scariest team in the field, however, is Waynflete, which is led by singles semifinalist Brandon Ameglio and has won nine straight Class C titles and 11 of the past 12. 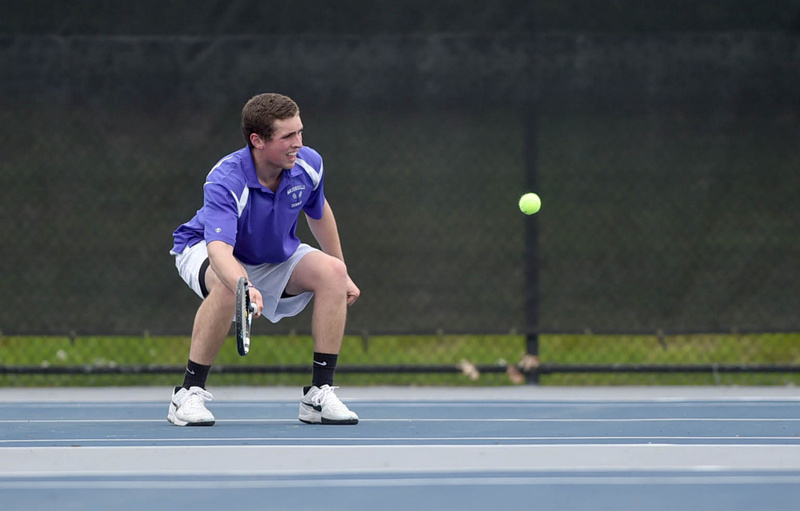 Rogers’s third-seeded Bulldogs face No. 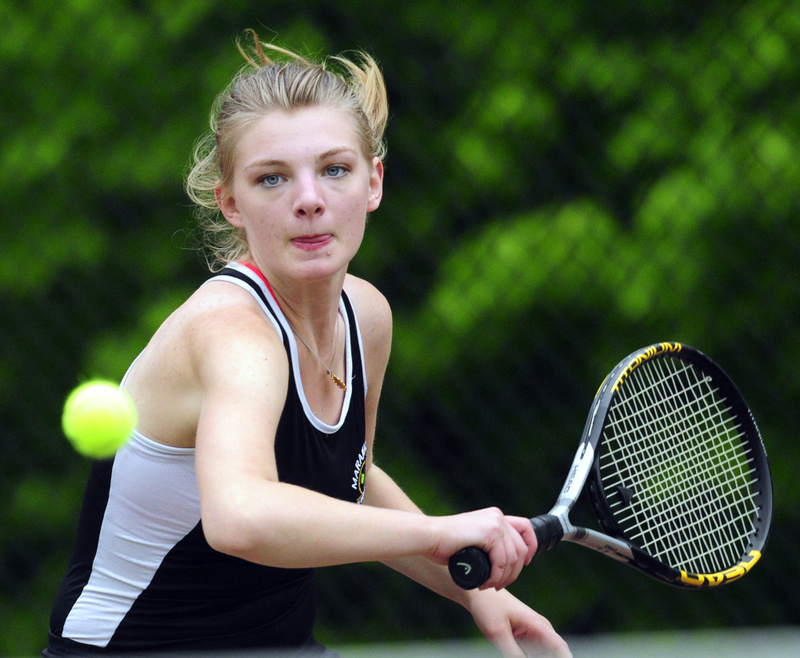 6 St. Dominic on Thursday, and the coach says his team has displayed the demeanor of one ready for playoff tennis. In boys action, Mt. Blue, which overcame a loss at No. 1 singles to beat Mt. Ararat, will take on No. 1 and undefeated Brunswick in the A North semifinals Saturday. In B North, Waterville advances to the semifinals to face the winner of No. 1 Caribou and No. 8 Belfast on Saturday. In girls action, No. 8 Cony faces No. 1 Lewiston, No. 6 Messalonskee plays No. 3 Brunswick and No. 4 Mt. Blue hosts No. 5 Brewer in the A North quarters today. In Class B, No. 5 Oak Hill visits defending champion and fourth seed Cape Elizabeth in the South quarters, while No. 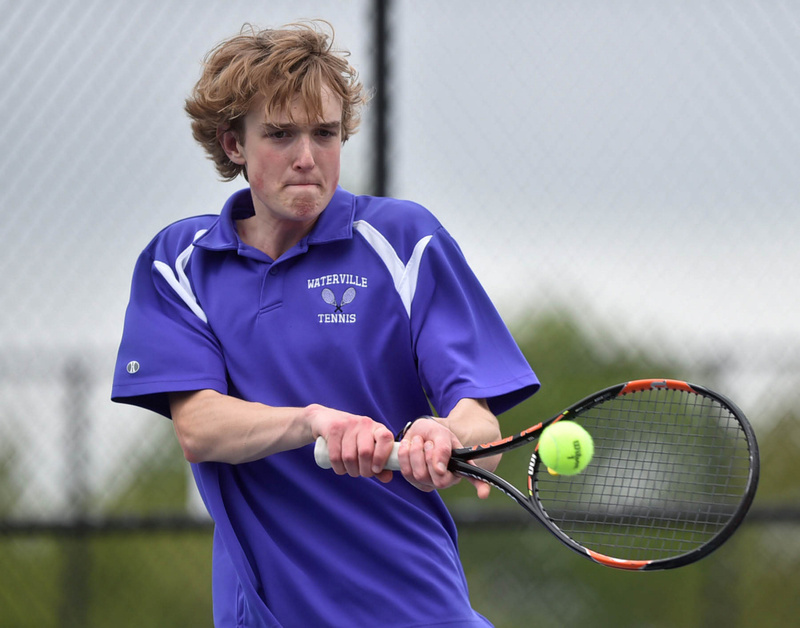 4 Waterville hosts No. 5 Erskine in the North. The tilt is a rematch of the teams’ regular season finale, a 3-2 victory for Erskine (9-3) over Waterville (10-2).